If you have a good paper (or, more likely, pdf) version of your resume, do hiring managers really care whether or not you have a LinkedIn profile? According to a new study, the answer is an overwhelming yes. The CV and resume writing service ResumeGo found that applicants who included a link to a “comprehensive” LinkedIn profile on their resume were 71% more likely to get a job interview than applicants who didn’t have a LinkedIn profile at all. Resumes featuring a “bare bones” LinkedIn—which ResumeGo CEO Peter Yang qualified to Fortune as a “profile summary of under 500 characters, less than or equal to 5 connections, and no descriptions completed for any of the work experiences listed”—were even less likely to nab a job callback. In the end, ResumeGo came to this conclusion after creating and submitting 24,570 fictitious resumes to jobs listed on various career search websites (including Glassdoor, ZipRecruiter, and Indeed) between October 8, 2018, and March 8, 2019. These resumes fell into three different categories: Group 1 “applicants” didn’t have a LinkedIn profile, Group 2 had a “bare bones” LinkedIn, and Group 3 had a “comprehensive” LinkedIn profiles with 1000 character plus profile summaries, over 300 connections, and either paragraph or bullet-point descriptions of past jobs. “For every resume we created for Group 1, we included an exactly identical resume in Group 2 (except with a bare-bones LinkedIn profile) and an exactly identical resume in Group 3 (except with a comprehensive LinkedIn profile),” Yang told Fortune. And the resumes differed to appropriately reflect the job posting’s industry and level. 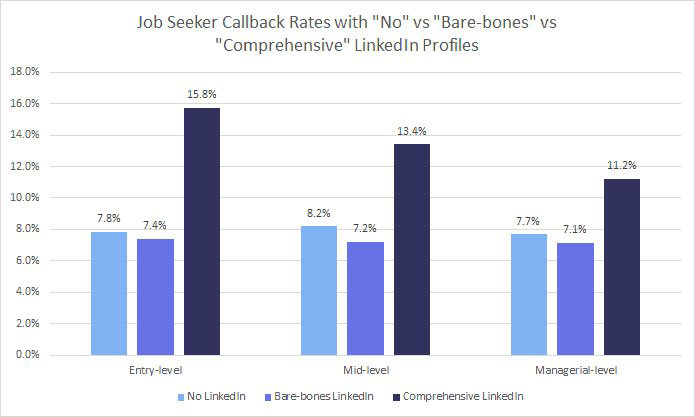 At the conclusion of the five-month field experiment, ResumeGo found that applicants with “comprehensive” LinkedIn profiles had a 13.5% callback rate, applicants without LinkedIn profiles had a 7.9% callback rate, and applicants with “bare bones” LinkedIn profiles had a 7.2% callback rate. 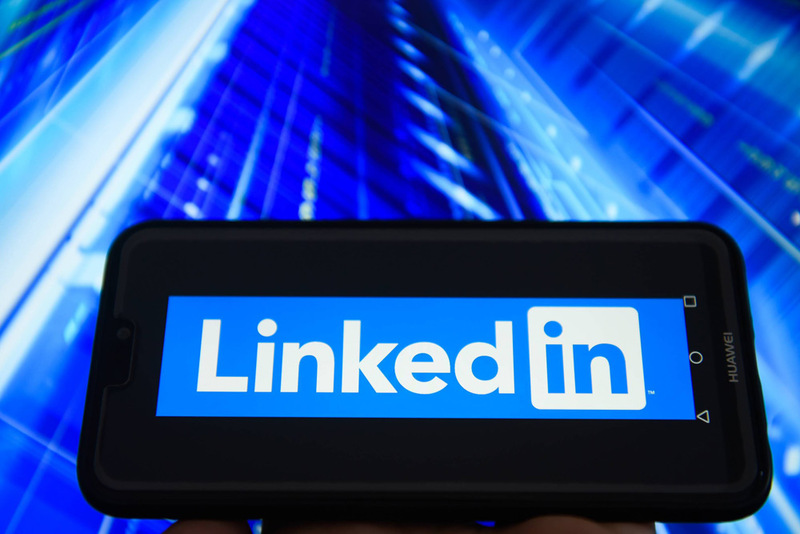 However, Yang notes, as the job level increased (from entry-level to mid-level to managerial-level), the importance of the LinkedIn profile decreased. So if you’re on the lower end of the corporate ladder, updating your online resume could be an important step in your rise to the top.